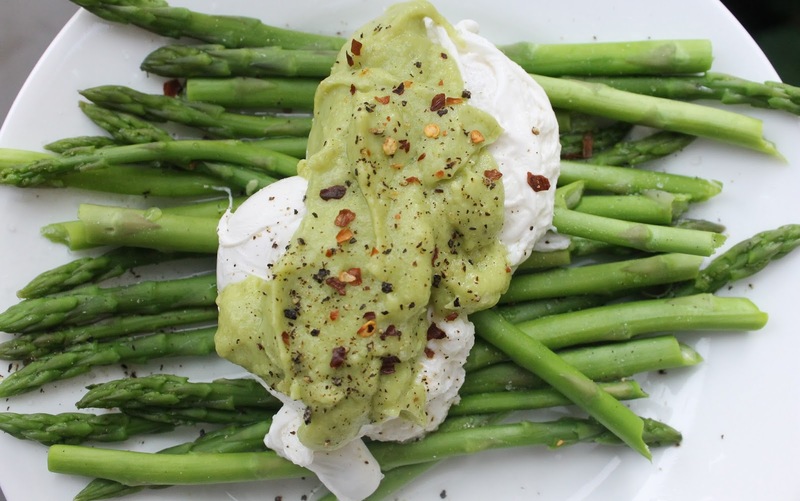 So, in hopes of cutting down on calories and cholesterol I've whipped up an avocado hollandaise sauce recipe of my own. It is so incredibly easy and fast to make that I'm pretty sure it's going to become a staple of mine to. In fact, I've had it for breakfast the past two mornings! 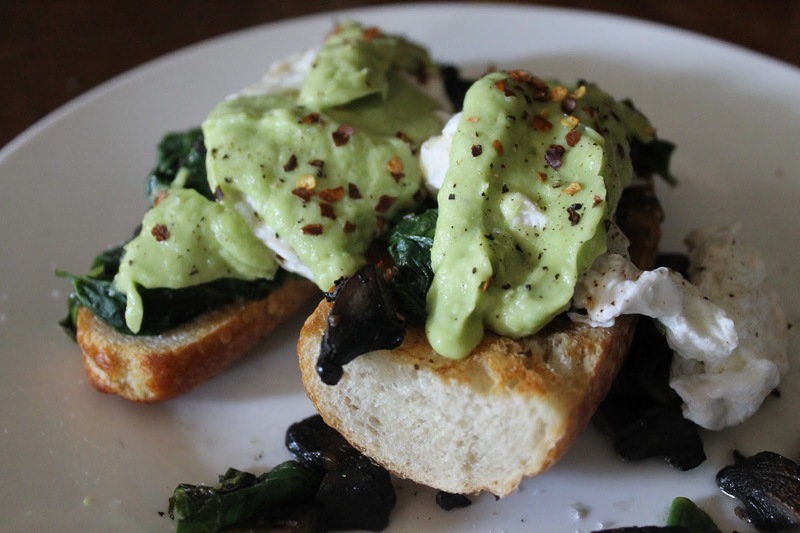 Sauteed spinach and mushroom eggs benny. 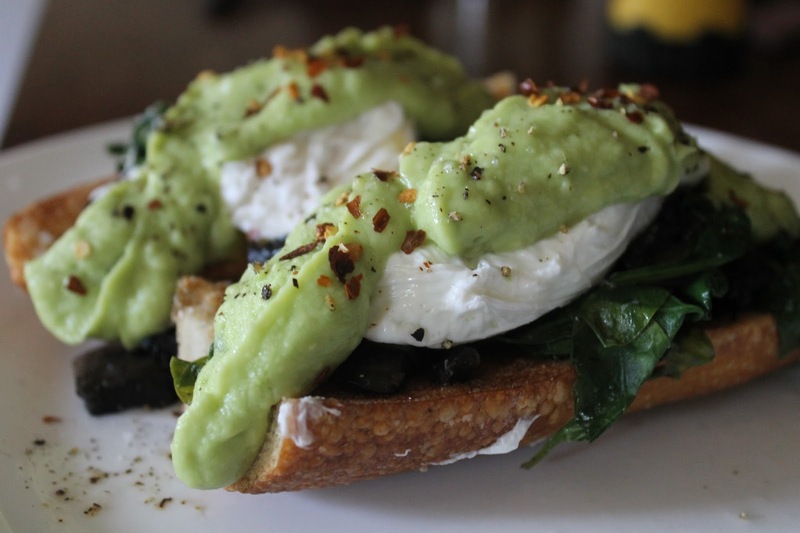 I can't take credit for coming up with the avocado hollandaise idea completely on my own. I stumbled across a photo on Pinterest and instantly knew I had to give it a go. I'm almost surprised at how simple this hollandaise sauce is, not to mention the health benefits. Avocados are full of the 'good fats' which help reduce cholesterol in the blood and fight against stroke and heart disease. They're also full of protein, potassium, dietary fiber, and vitamins K, B, C, and E! Blitz it all up, taste, and enjoy! 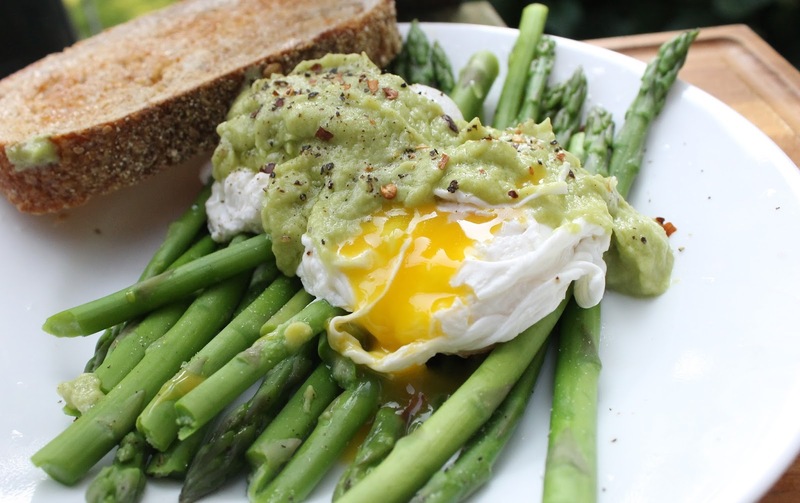 Steamed asparagus and poached eggs with avocado hollandaise sauce. 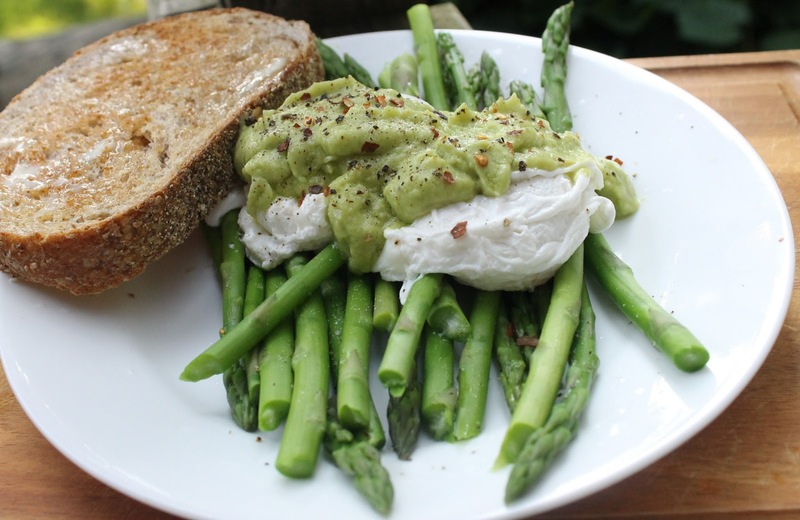 Give this recipe a try, I promise you wont be disappointed!